As far as songwriting was concerned the way it worked in Squeeze had always suited Glenn Tilbrook just fine, namely that he’d compose the music after co-conspirator Chris Difford had penned the lyrics. 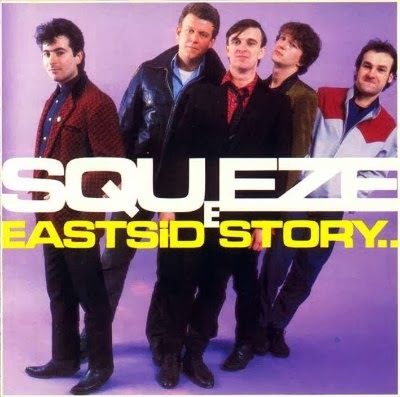 Sufficed to say the arrangement proved a propitious one, as Squeeze emerged out of the Punk/New Wave era with a small fleet of fantastic albums like Cool For Cats, Argybargy, and the Elvis Costello-produced East Side Story, along with a spate of hit singles—“Take Me I’m Yours,” “Up The Junction,” “Black Coffee in Bed,” and “Tempted” among them—to become one of England’s most beloved bands. 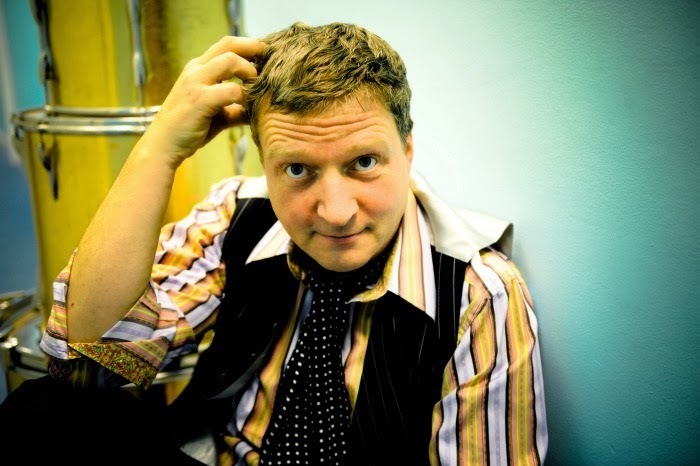 After two well-received solo albums and a few other musical diversions, Tilbrook has no doubt developed his own distinctive voice as a lyricist while also, as of 2010, having revived his partnership with Difford and indeed the Squeeze legacy. Now splitting his time between both enterprises, Tilbrook, who is currently on a solo tour in the UK, looks to tour again next year with Squeeze following the release of his third solo album, Happy Ending, an acoustic set which illustrates his musicality and sense of craft are as vibrant as ever. What was the catalyst for you making Happy Ending, particularly in presenting its songs in an acoustic setting? There was a group called Tyrannosaurus Rex, which came before T-Rex, with just acoustic guitar and bongos. I really used that as my starting point for how I wanted my album to be—I didn’t want any electric guitars or drums on it. So taking that as my starting point, I worked up from there. I’d never made an acoustic album before, and I was really intrigued by what one sounds like. To make an album like this would seem to require a rather regimented discipline, as you’re not using all the tools in your toolbox, so to speak. Was that a challenge? Well, yes and no. What I’ve tried to do is just to strip my writing back to guitar or piano and really start out from there. Whether I play things live or not is sort of beside the point. The point is that everything can be done on piano or guitar. This album is acoustic, but it’s not sparse. No, it’s not. One of the next goals I have is to make a sparse record because I’m very good at putting in very detailed intonation and stuff. I just like doing it. One of my favorite songs on the album is “Persephone,” particularly how the strings sort of guide the verses but then bolster the chorus—the dynamics of it are intriguing. It’s inspired by someone else, but it comes through your aesthetic. Yeah, that’s it. That’s what happens. I love that process. I love seeing how it can end up. Another song that stands out for me is “Rupert.” What made you want to write a song about Rupert Murdoch? The inspiration was [from] watching something called the Leveson Inquiry over here where people were grilled about their ethics and what they’d done as far as hacking into people’s phones, the sort of huge damage wrought on people’s lives from doing that. When I watched Rupert Murdoch and I watched James Murdoch and I watched Rebekah Brooks give their evidence, I think it was a pretty shameful performance by all three of them. I felt compelled to write about it because all this stuff gets forgotten and then they just carry on as if nothing’s happened. I think that’s such a shame. Is any topic fair game to write about within the context of a pop song? The more complex a lyric is the more you have to sweeten the pill. I think both “Rupert” and, let’s say, “Everybody Sometimes” are very poppy songs and for that reason, because the subject matter is very serious. Can you see any arc to how you’ve evolved as a songwriter on your solo albums? Yeah, lyrics are becoming more and more important to me. I think this is the first album I’ve written all the lyrics just as a way to convey ideas. I’m not the most articulate of people, so to have that time and space to say exactly what I want to say and the way I want to say it is really brilliant. I’m relishing that opportunity more and more. I interviewed Neil Finn a couple years back about his songwriting and he said something to the effect that, in his view, as an artist you have to be engaged in your craft in order for inspiration to hit. You can’t just wait for it to arrive. What’s your take on that? Do you find that you have to be working in order to yield inspiration? Most of the time it’s about being prepared to catch those moments, because inspiration does strike and sometimes things can emerge almost fully formed if you’re in the right mood to catch them. But you’ve got to be able to sit down with a guitar or write something down at sometimes the most inconvenient moments for that to work. The rest of the time I completely agree with what Neil said. It’s about putting yourself in a situation where inspiration can kick in once you’ve maybe been playing about with an idea and you’re not inspired. Something happens, something switches, and you get an idea. That’s when things begin to flow. 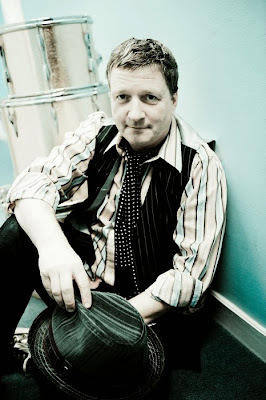 For more information on Glenn Tilbrook, please visit the artist’s official website.